Get Focused Media, 9781732525603, 168pp. The Metabolic Makeover: 8 Weeks to Macro Mastery teaches you how to manage macronutrient intake to make over your metabolism and your mindset. 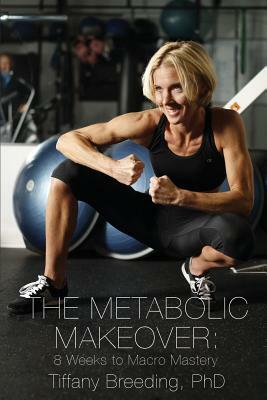 Author Tiffany Breeding, PhD (aka Dr. Tiff), brings you science-backed info, practical applications, and weekly nutrition exercises to help you understand your metabolism and achieve long-term results. After completion of her "no BS" program, which cuts through all the diet-industry bunk, you'll have the knowledge and skillset to maintain progress and maximize personal performance. This book is a must-read whether your goal is to lose body fat, build muscle, or just eat smart to fuel your life.